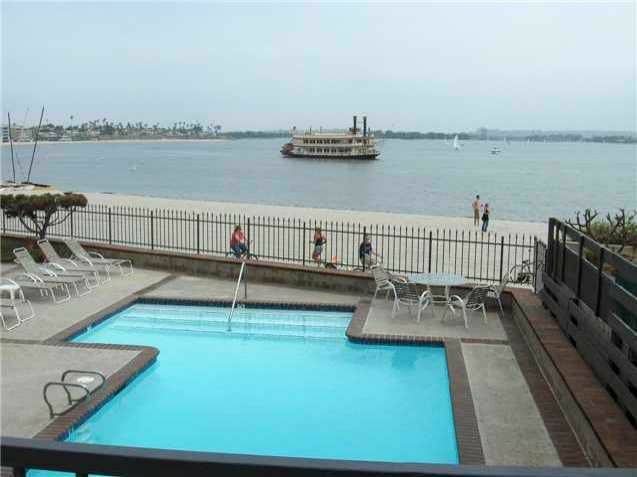 Sail Bay waterfront, sweeping, expansive bay view fron LR, DR, Kitchen and private patio on top floor. Large bedrooms and walk-in closets. Pool, spa, secure gated parking, direct access to Sail Bay. Call Jerri Walters 858-354-1900 for appointment to view.